I've been working on different mockups of what I'd like for Windows 9, but since we now have a better view of what it would actually look like, I've made a new one. On the menu : tabs ! 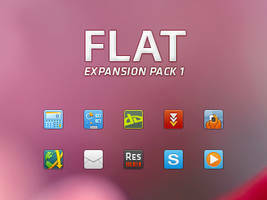 no search box (a similar system as Ubuntu, you just type when the window is selected, or use ctrl+F if you prefer), only one option button (with "new folder", "copy", "paste", ... all that good stuff), but icons can be added between the adress box and the file button (just like in Firefox), new icons more "flat", borderless windows with good shadows, and a new overall friendly appearance. I've been a long time fan of your Soft7 theme since the Windows 7 days. I hope you will release a true successor to Soft7 on windows 10 someday. Best wishes and good luck for the future. really nice . can you plz share the wall? ya, i miss this pic . Hey, do you have any plans for Soft 8??? I like it but I'd need to have a search box because I use it so much. Nice work ap-graphik. 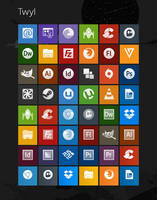 The icons for folders and devices/drives seems a bit inconsistent though. 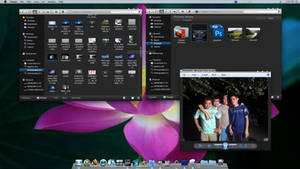 Also, what´s your thought on how OS X is moving forward design wise? 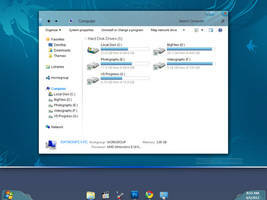 With the windows controls and navigation controls now integrated into a single bar on most of the applications? Looking at this mockup, I think combining the two could make for a more simpler and clutter-free interface. Thank you. Waiting on release then! Best W9 concept yet for sure. Embodies most of the things I'd do being in Microsoft's shoes, and it doesn't try to be flat, it is (in a sense of capitalizing on the flat design and taking advantage of it's positives, rather than showing it's negatives like I saw in other conepts). 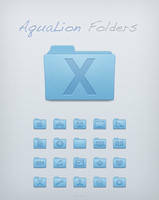 Also digging some of the folder icons, good work mate! 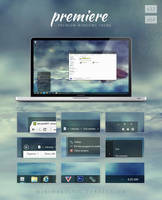 windows 8 should be like this! This looks friggin AWESOME!!! 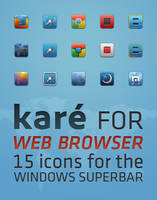 Is there any chance the icons are real? I'd love to get the ones from the "Favorites" bar you have ! I do wish to make them real, the one in the window (colored) are 48px anyway, and the one on the navigation pane are 16px, so they would easily be usable (the color wouldn't change on hover of course). But I may change them, I did not bother for this mockup, but here the music and download icon are not exactly the same in 16 and 48px, it's especially true for the music icon. But this music icn (16px) is very common anyway, so I'm sure something similar could be found somewhere. And if all goes well I'll do an iPack to be able to install them all at once. I wish! Win 8/9 developers should go jump of a cliff. This is that good. 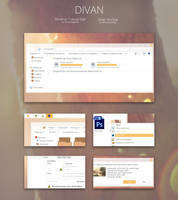 Will you create a soft7 type theme for win 8/9? I'm being asked about Soft7 a lot and I think about it each time. But the main motivation behind Soft7 was Aero and the transparency, I know many people also liked the gray command bar, but that was really not something I liked that much myself. The theme was based on transparency, simplicity, and make everything without a too high contrast like the default Aero of Vista / 7. And this is why I really don't know what I could do with that under Windows 8 or 9... And the only way to get a proper aero effect under these OS is with a paid software (Aero Glass), and I don't want to release something on dA that would require to pay for something, and I'd also not recommend at all to download or hack the thing illegally. I also don't feel comfortable on working on something for dA (the place where I do things for fun) where I don't have that much motivation, because I'm not into transparency anymore. Right now it feels as a thing of the past. But, even if I've got some difficulty with Windows Style Builder under Windows 8 (...), I still have some themes in the work and ideas for others. 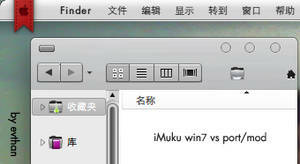 I just wish I'll have the possibility to finish them before Windows 9 will be out (sooner than we expect I think). I think I'll finish the one I'm working on these days, then maybe release mockups of my ideas and see the one people like the most (hoping it won't finish like my Lumi project...). Truthfully, you have so much (well-earned) hype due to soft7 that many people watching you are waiting for any kind of theme from you. Even the above mockup with its off-white color looks stunning. 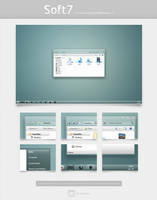 Your concept of home & file button is epic compared to the trash that is ribbon bar & it's small ugly buttons. Aero time has gone sadly. As for me I keep switching between soft7 & shine 2.0 themes. > And my current theme will be all dark ^^ so I'm not sure if you (and everyone that's following me on dA) will like it or not, all square, dark and flat... we'll see. 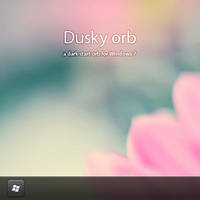 Just add a light option I hope you can create another masterpiece for windows 8 or 9. Looks nice! What's the file button do, bring down a menu? If so couldn't you use Home for that like what Firefox does? 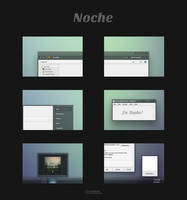 This looks nice, and although it incorporates a good amount of functionality, it remains clean to the eye. Currently I have windows 8.1 on my laptop, and although I can't say the UI isn't functional, I absolutely hate the explorer in 8.1, it's a complete eyesore that makes me wonder WTH Microsoft was thinking. 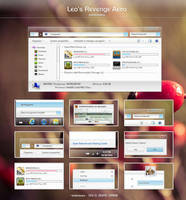 This mockup is leagues beyond what is included in the current version of Windows, at least in my view. Thanks, and I totally agree. In fact I use a modded theme almost exactly like Aero, the main changes have been to get rid of the ruban and the command bar, and this already make it a lot cleaner. 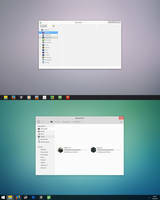 I also don't understand why they would want the ribbon into the explorer, it's the place where we want the UI to disappear and just be able to see our stuff and just browse, people have been wanting that for years, you can see that in every custom theme that is made. Maybe we just want to customize it once, add or hide the functionality we want, but then we don't want the menu to be on our way. That's what Firefox have been doing over the last versions, first they implemented the orange Firefox button, an all-in-one place, and now it's even more hidden in the small menu button on the right. And many websites like Youtube are doing the same. In my mockup I've added the name "File" with the button to be even more user friendly, I know Microsoft always want that, but I perfectly see the word disappear in future updates, exactly like the "Start" button (with the name) became the start orb over the years. Yes, yes, and yes! It seems like we share a similar philosophy on UI design, although in my original comment I didn't want to seem as if I was going on some type of anti-Microsoft rant, so I kept it short and sweet. Honestly one glance at that file button make me think of the wonders of how much could be done, as a Firefox user it immediately felt as if I already knew how to navigate the following prompts/menus that would proceed it, and this is just a mockup! Although mileage my vary per person, I feel it should be important that a user feels comfortable or "at home", and when the UI provides this type of consistency and predictability, it allows the interface to work for them, instead of the user trying to make work of the interface. (If that makes sense.) Everything that I could possibly need is easily sorted for me in a clean, predictable interface, and if I don't know where to look for something, at least the UI tells me where I am and points me in the right direction. I feel that Windows currently does the opposite of this, with multiple interfaces trying to compete with one another, or piling multiple features into one area and knowing you'll eventually reach the option you need. I understand Windows 9 wants to address some of these concerns, but hopefully they look at feedback and designs such as yours to make a better experience, instead of a different one. Looks great! Nice job. 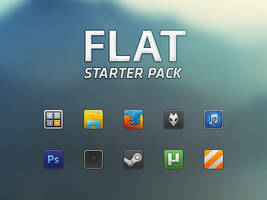 I wosh microshit would make a true advanced file browser. But also give the option for the user to switch from novice to advanced view or something. The same goes for the mac's finder which should take some inspiration from forklift. But yeah... This is progress... Or something. I agree. It would be awesome if they gave us more tweak options. They always released a professional edition which wasn't really that much different than the basic one. And I kept hopping that one day they will release a truly pro edition... Who knows what the future will bring us? Yeah, we can always hope. looks nice... actually really nice. I never liked W8, but I could live with that. I would put a harder shadow around the windows instead of that blurry soft one tho.